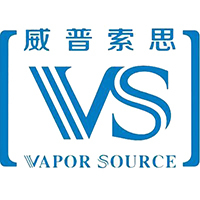 Vapor Source - actually Shenzhen VaporSource Tech Co., Ltd. This is a Chinese company, which is located in Shenzhen. Products under their own brand are primarily budget line vaporizers targeted at the widest possible customer base. Their first product was VS1 vaporizer. But Titan's real popularity and Titan 2's world-wide bestseller are still popular today. Currently, the latest version of the vaporizer under the name Titan 3 is available on the market. There are a lot of counterfeits on the market, we sell only original VS products. VST Priams 2 is an interesting looking and cheap vaporizer which is the only one of all devices from Vapor Source has a replaceable type 18500 battery. Housing VST Priams 2 was made of metal. The Vaporizer is equipped with an LCD display, a ceramic drying chamber and a glass mouthpiece. Titan 2 Hebe - is the most known vaporizer of Chinese manufacturer VS. This model was the most popular vaporizer in 2015. The price of the Titana 2 was very attractive at the time and in return it offered full temperature control, an LCD display, a metal dashboard and a pretty good battery. Titan 3 is the latest model of the Titan series vaporizer. This is a budgetary model of a portable vaporiser for vaporization of dried. An interesting feature in this model is the rare dry dome that was made of heat-resistant glass. Official website of Vapor Source - www.szvaporsource.com ">The price of the Titana 2 was very attractive at the time and in return it offered full temperature control, an LCD display, a metal dashboard and a pretty good battery. Titan 3 is the latest model of the Titan series vaporizer. This is a budgetary model of a portable vaporiser for vaporization of dried. An interesting feature in this model is the rare dry dome that was made of heat-resistant glass.